Originally from Japan, Seiko Tachibana now makes her home in San Francisco. Seiko Tachibana: "The ways in which many small pieces come together to make up a larger whole is a central theme in my artwork. I like to compare the marks, lines, shapes, colors, and textures that are the basic language of my work to living cells, and in the context of an individual block or panel, those cells come together to comprise an organ. When I assemble several individual works together, the blocks and panels then become like organs in a body, a body that is the whole of an artwork. In contemplating the similarities between biological structures and my work, I have discovered many different connections between ourselves and the universe in which we live." Oakland, California: Moshi-Moshi Press, 2019. Edition of 18. 6 x 6"; 36 pages. Accordion structure extending from the back pastedown. Letterpress printed on watercolor paper. 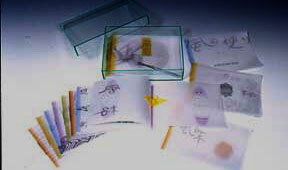 Bound in hard covers with kanji character illustrations. Mylar wrapper with titles. In plexi slipcase. Signed and numbered by the artist. This is the second volume exploring the development of Japanese language – a delight for anyone interested in language and puzzles. 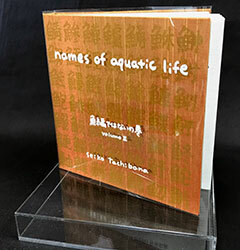 Seiko Tachibana, Colophon: "There are about 555 characters for names of aquatic life made with the character 'fish' in one letter. I chose 35 of these for volume I. For volume II, I have chosen 27 characters for the names of aquatic life that are not one letter. 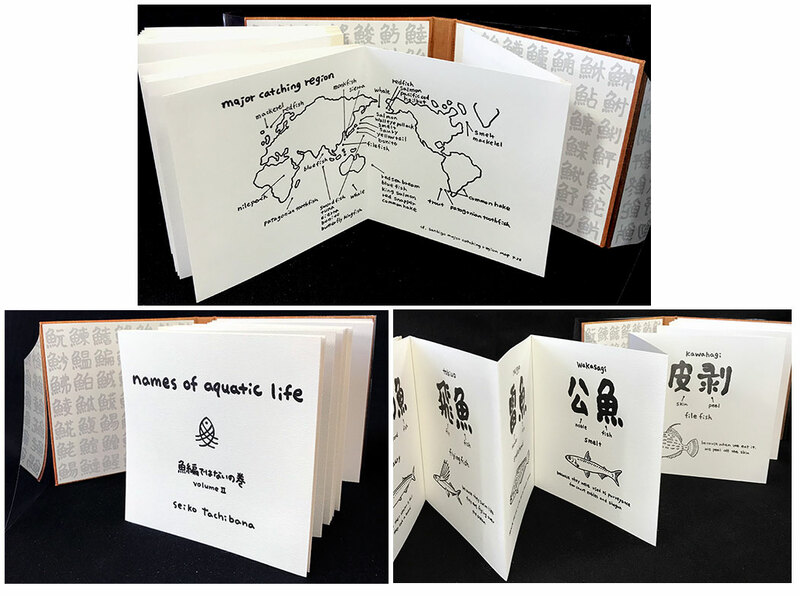 Volume I was inspired by the unique way the names of aquatic life are written. Volume II was inspired by volume I. I noticed that there are meaningful exceptions in names that are not one character." 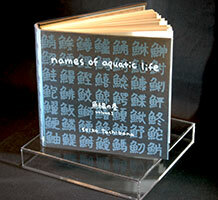 Introduction: "In this volume II, you will find the names of aquatic life are not made with the one letter 'fish' character. Rather, by either using a completely different character, or by combing the character 'fish' with other letters in one word. This book will explain how the names are made." For example, to name the fish Saury in Japanese the word would be written using the kanji for fall, sword, and fish. This is because their season is fall and they look like a sword. Another aquatic life example without using the letter 'fish' is oyster. It is written using the kanji for male and hard. Oakland, California: Moshi-Moshi Press, 2017. Edition of 18. 6 x 6"; 36 pages. Accordion structure extending from the back pastedown. Printed on watercolor paper. 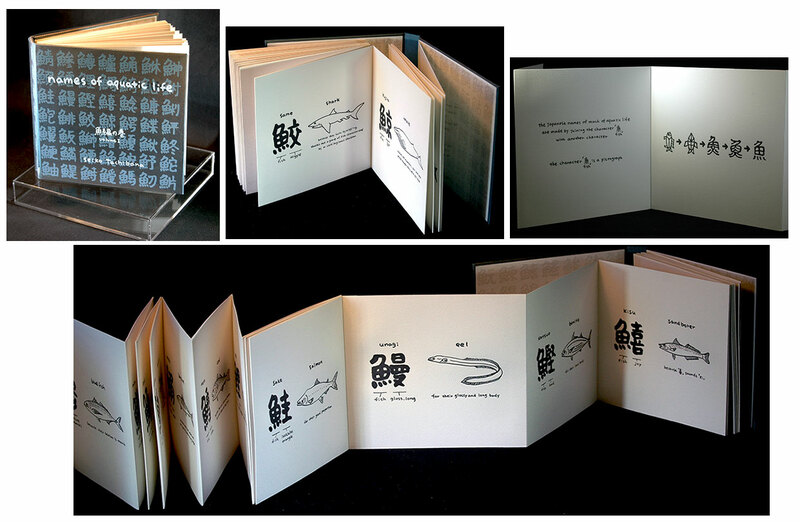 Bound in hard covers with kanji character illustrations. Mylar wrapper with titles. 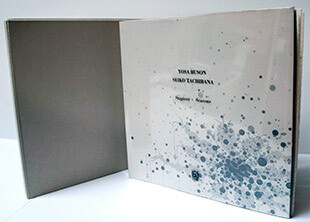 In plexi slipcase. Signed and numbered by the artist. Tachibana shows how the Japanese language creates words by using a key kanji character (in this case, the symbol for fish) and adding the character for a distinguishing characteristic. For example, the kanji for fish plus the kanji for sake barrel becomes trout, because the trout is shaped like a sake barrel. Rome: Edizioni il bulino, 2017. Edition of 65 +10 AP. 12 x 12" in slipcase. Color intaglio. Text in Japanese, Italian, and English. Printed on Hahnemühle. 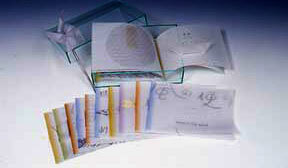 With acrylic sheet wrapper. Bound by hand. Signed and numbered by the artist. This is an AP. Four sections representing each of the seasons. 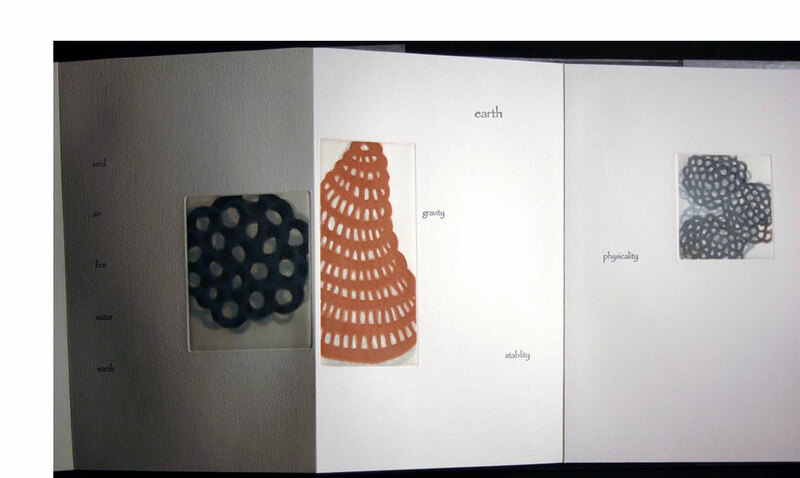 Each seasonal poem printed haiku in Japanese, Italian, and English with accompanying color etching by Seiko Tachibana. Hellopoetry.com (accessed 08/14/2018): "Yosa Buson (1716 – 1783) was a Japanese poet and painter from the Edo period. Along with Matsuo Basho and Kobayashi Issa, Buson is considered among the greatest poets of the Edo Period." Oakland, California: Moshi-Moshi Press, 2014. Edition of 10 + 2 AP. 7.5 x 7.5"; 24 pages + 10 leaves laid in. Accordion structure extending from spine side of back pastedown. 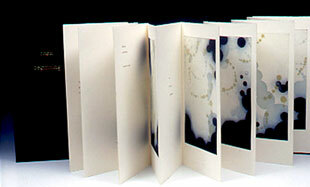 Print processes: carborundum, drypoint, letterpress, inkjet. Printed on Rives BFK. Bound in cloth covered boards. Signed and numbered by the artist. Born in Japan but now living and working in the Bay area, Seiko Tachibana's delicate prints display an aesthetic that is Asian and simplified. Her research often starts in the natural world, where she finds universality in the details and which she turns into gently seductive art. 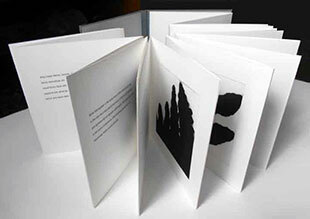 Oakland, California: Moshi-Moshi Press, 2010. Edition of 15. 7 x 11” closed, extends to 40"; 16 pages. Accordion structure from back pastedown. 14 intaglio prints. Text letterpress printed with papyrus font on Arches cover paper. Bound in cloth boards. 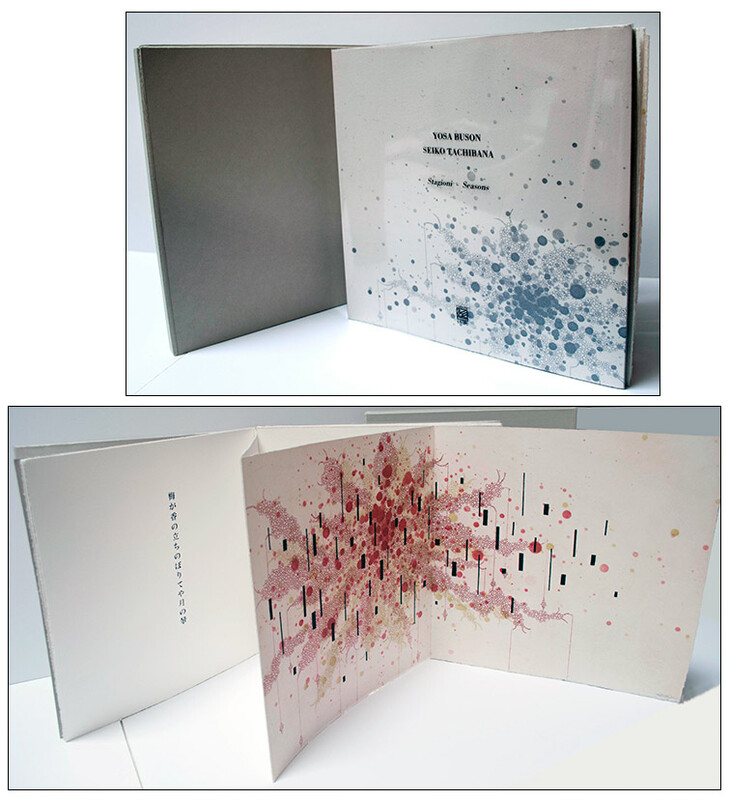 Printed, designed, and handbound by the artist. Signed and numbered. Seiko Tachibana: "The elements of my work represent everything that I see, hear, breathe, and taste. Just as each of our actions has a meaning, there is a reason why each of my lines and dots is created just so. My marks often employ circles and bars as metaphors for rain and water. Rain is about hope. It gives life to all creatures on Earth. It is an essential element in the cycle of life. The circle represents the natural duality of the infinite whole, and suggests the constant balancing forces of Yin and Yang. In living our daily lives, we are confronted with an almost incomprehensible deluge of images, and our understanding of the world around us – our reality –- is largely dependent upon which of these images we choose to inform us and which we reject. We are, therefore, simultaneously enlightened and deceived about the true nature of our universe." Oakland, California: Seiko Tachibana, 2007. Edition of 20. 8 x 16.25 x 1.25"; 16 pages. Accordion structure extending from back pastedown. Seven intaglio prints. Text letterpress printed in Baskerville font on Arches cover paper. Bound in bookcloth with titles in gilt on front cover. 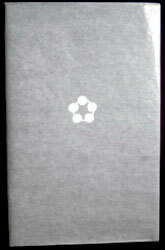 Housed in matching black bookcloth covered clamshell box with title on cover. Signed and numbered by the artist. Seiko Tachibana: "Each of our actions must have a meaning, therefore each of my lines and dots have reasons why they are created just so. All of our instincts are encoded in our DNA at the time we are conceived; our inheritance and our legacy, through the generations, continuing forever. All possibilities for human experience and survival are contained within the memory of our genetic material. I am interested in finding and exploring this memory by searching within myself and letting my discoveries manifest themselves in my work. My marks often employ circles and bars as metaphors for rain and water. Rain is about hope. It gives life to all creatures on Earth. It is an essential element in the cycle of life. The circle represents the natural duality of the infinite whole, and suggests the constant balancing forces of Yin and Yang. "In living our daily lives, we are confronted with an almost incomprehensible deluge of images, and our understanding of the world around us – our reality – is largely dependent upon which of these images we choose to inform us and which we reject. We are, therefore, simultaneously enlightened and deceived about the true nature of our universe. "The accumulation of every day life becomes history. History is the trace of time. All of my actions immediately become the past. I draw marks, and the marks become history right after I draw them. The marks are a trace of time: They are evidence of my existence." Oakland, California: 2006. Edition of 20 in English, 10 in French, and 10 in Italian. 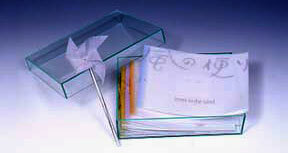 4.75 x 7"; 16 8-page booklets housed in a plexiglas box designed by the artist. Digital print on vellum paper. The origami structures are constructed from organdi and tea chest papers. Wind + taste = savor; wind + boat = balloon. 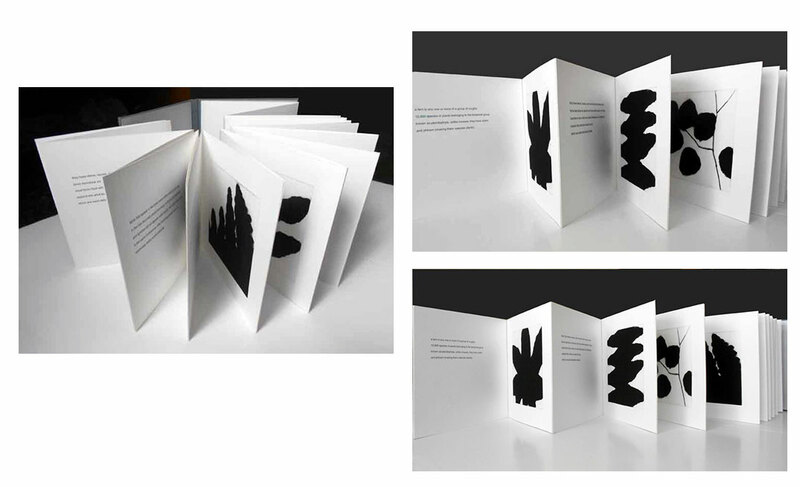 Each booklet focuses on one word/word combination; five booklets incorporate illustrative origami.